The Greater Lansing Sports Authority has been going strong for over ten years, and in that time, they have helped to bring literally dozens of different types of sports to the community at large. Basketball, baseball, softball, fencing, hockey, figure skating, archery, lacrosse, soccer, wrestling and on and on and on the area is a growing Midwestern sports destination city and the fun part is, the list of event types just keeps growing.This weekend the Greater Lansing Sports Authority is working with its first ever Rugby Tournament, set to be held at Hope Sports Complex on Lansing&apos;s south side on August 5th.The twelve-team tournament will bring over 200 athletes to the area and will occupy rooms at the Radisson Hotel Lansing at the Capitol and the University Quality Inn. 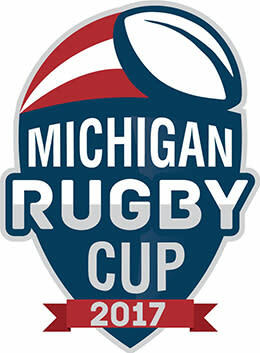 "We&apos;re really excited to be working with the 2017 Michigan Rugby Cup," said Tom Kinder, Sports Development Manager for the GLSA. "With as many sports as we&apos;ve hosted over the years, the fact that we&apos;re still bringing in brand new tournament sports to the area shows that our growth potential is still on an upward trend." So yes, with the 2017 Michigan Rugby Cup, the GLSA adds rugby to the long list of tournament sports it has brought to the region. In 2016 alone the GLSA brought over 100 events to the area, including 68,714 athletes and over 310,000 spectators. These attendees utilized nearly 34,000 Greater Lansing hotel guest rooms and generated over $8.6 Million in economic impact for the region. These are good numbers but if you ask Tom Kinder, the best is yet to come. "I firmly believe the future of tournament sports development in Greater Lansing is very bright," said Kinder. "Sports tourism nationally continues to grow and with the lodging and athletic venue support in Greater Lansing, there is no reason we won’t benefit from the national trend right here in the Capital City." for more information about the GLSA or how to bring a new sports tournament to the area, contact Tom Kinder today at 517-377-1428 or tkinder@lansing.org.